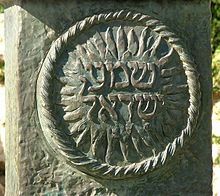 One way of connecting with the Jewish God that appeals to many atheist and agnostic Jews is to think about The God Of Our Ancestors (אלוהי אבותינו – ‘Elohei Avoteinu’ and in reform Judaism we add ‘Ve Imoteinu’ – God of our Fathers and Mothers). The idea is to focus on what our ancestors believed rather than on what we currently believe, and to connect with that spiritually, intellectually, and emotionally. Not just our Biblical ancestors, but all generations of Jews before us. The main reward in both versions is: למען יאריכון ימיך (your days be lengthened) and the second one also adds: למען ייטב לך (literally, that you may have goodness), and in both cases the reward is linked to the land that God has given, which is most naturally interpreted as the land of Israel. Many books and articles have been written about the literal interpretation of the Fifth Commandment: the requirement to honor and respect your parents during their lifetime. 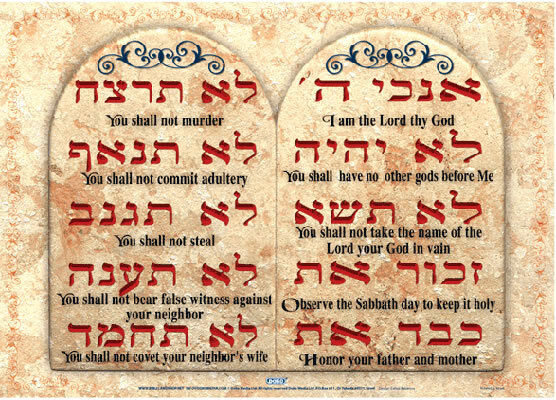 However, since this Commandment is on the “God side” of the tablets, and since it indirectly refers to the land of Israel in the reward, I find it natural to extend (not replace!) its meaning beyond our parents’ lifetime, and generalize it to all of our ancestors. What does it mean to honor our parents and grandparents even after their death? It means carrying forward their legacy. It means honoring their values. It means being inspired by their struggles. It means connecting spiritually with their memory. It means finding a way to respect our shared tradition even if we find it hard to accept it literally. כבד את מורשת אביך ואמך, למען יאריכון ימי המורשתThe legacy that we leave our children is that which they choose to honor and respect. We don’t control what our children will choose to honor as our legacy. We can only teach them by showing them that we honor our own parents’ legacy. And that multi-generational Jewish legacy is embodied in the concept of God Of Our Fathers: whatever our parents and ancestors believed has become our legacy. And He said, “I am the God of your father, the God of Abraham, the God of Isaac, and the God of Jacob.” And Moses hid his face because he was afraid to look toward God. The business card that God presents to Moses on their first date does not say that he created the entire universe and all of mankind, but rather that he was the God of his ancestors. The spiritual connection to our ancestors is especially powerful in a communal synagogue setting. When the ark is opened and the Torah scrolls are exposed, Jewish generational continuity unfolds right before our eyes. The Torah scroll is hand-written on gevil or klaf using the same technology that our ancestors used. There is something ironic about the fact that today we use the words “scroll” and “tablet” in the context of sliding our finger over our iPads, and yet the most reliable form of long-term information storage and display remains the ancient Torah scroll. Modern and ancient technologies fuse into one when you view the Dead Sea Scrolls Digital Library, which puts the most ancient scrolls of 2,000 years ago at your scrolling fingertips on your iPad tablet over the internet. When we say the Shemah Yisrael prayer in synagogue today, we connect, not only with the congregation around us, and not only with Jewish people around the world who are saying it on the same day, but with all Jews throughout history who have said these words, often as their last words. We connect with the ancient Israelites who wrote these words in Deuteronomy 6. We connect with the prophet Daniel who, while in exile in Babylon, faced Jerusalem and prayed 3 times a day. We connect with Rabbi Akiva who said it as the Romans were torturing him to death. We connect with the victims of the Spanish Inquisition who said it while burning at the stake. We connect with the millions of victims of the Holocaust who said it in the Gas chambers. And we connect with the Israeli IDF commander who said it while jumping on a grenade to save his men. If you allow yourself to define the God of our Ancestors as the common source of strength of the Jewish people as they faced adversity throughout history, it will suddenly seem very real. By studying and spiritually connecting with our past, we can tap into the same source of strength to help us deal with the future. The real miracle of the burning bush is not that at one point in time, thousands of years ago, it burned and wasn’t destroyed, it’s the fact that the Jewish flame that emerged from that moment is still burning thousands of years later and cannot be destroyed. Honor and cherish that legacy. Take the Fifth!